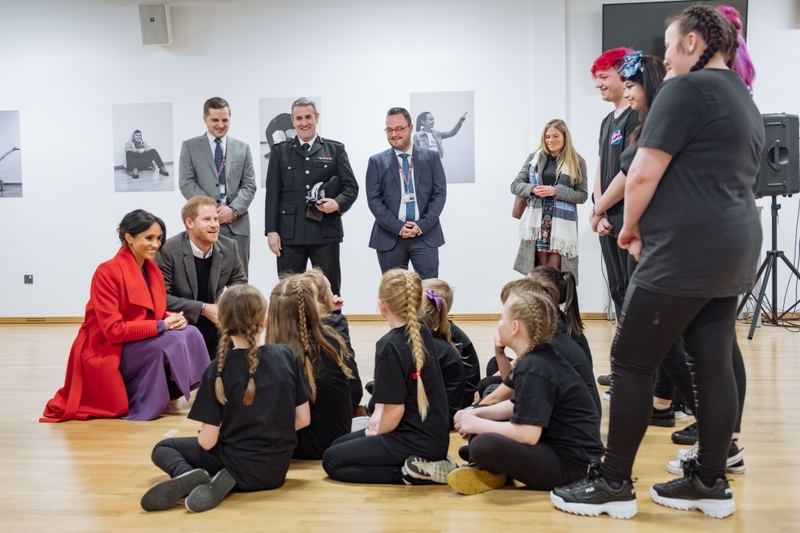 The Duke and Duchess of Sussex visited the town of Birkenhead, Merseyside, where they met a number of local organisations that support and empower groups within the community. 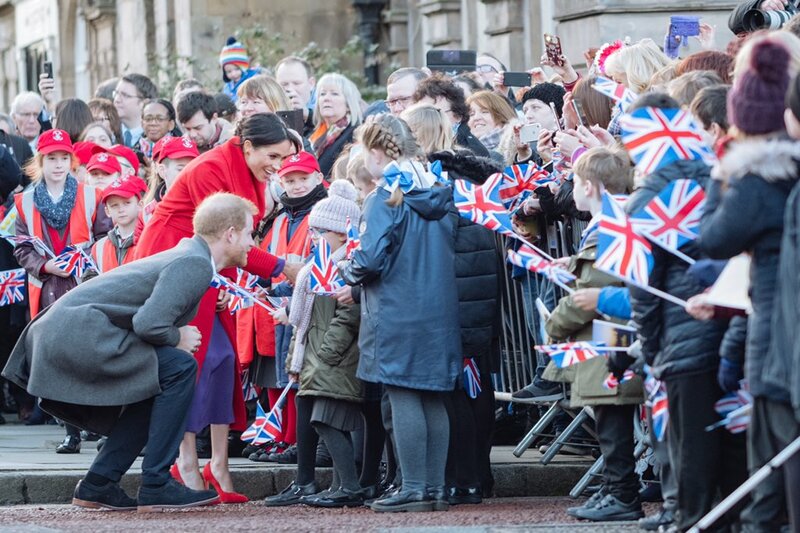 Their Royal Highnesses first visited Hamilton Square to view a new sculpture erected in November to mark the 100th anniversary of Wilfred Owen’s death. The statue, which is named after one of the Birkenhead war poet’s poems, ‘Futility’, is cast in bronze and represents an exhausted World War One solider. The Duke and Duchess then traveled to Number 7, a Feeding Birkenhead citizen’s supermarket and community café, to official open the new premises. Feeding Birkenhead is a coalition of churches, food banks, community groups, and other organisations working together to eliminate hunger in Birkenhead. The supermarket enables local families to buy their weekly shopping at a discounted price, and provides advice and advocacy on benefits, looking for work, debt, budgeting, and cooking. 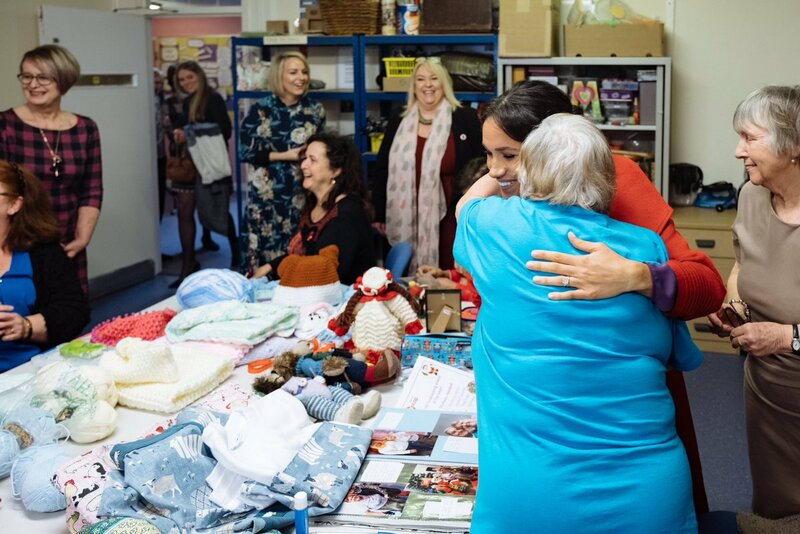 Their Royal Highnesses visited Tomorrow’s Women Wirral, an organisation that supports women in vulnerable circumstances. Initially established in 2011 to support women upon their release from prison, Tomorrow’s Women Wirral has since expanded and now offers an extensive range of training courses and workshops for more than 6000 local women, including support groups around mental health issues, domestic abuse, and addiction. 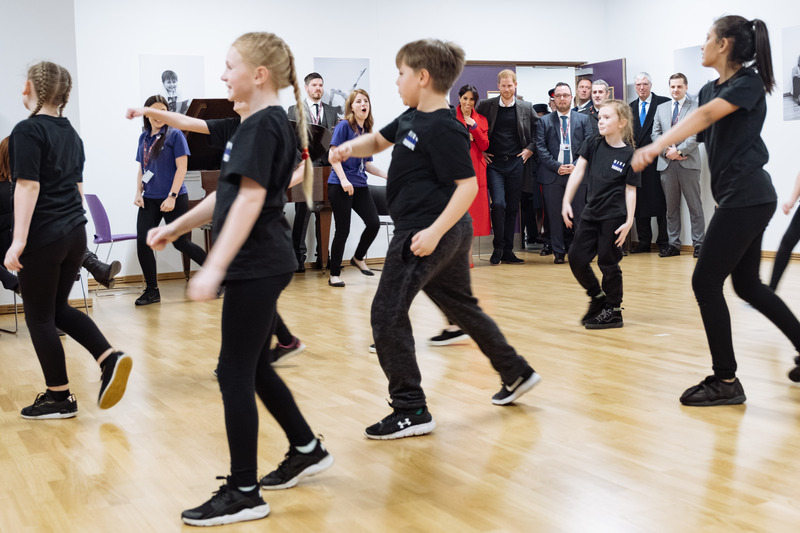 The Duke and Duchess's final visit in Birkenhead was at the Hive Wirral Youth Zone. Created by the charity OnSide Youth Zones, which is developing 21st century youth facilities across the UK, the Hive provides a safe environment where young people can come and enjoy themselves, building key skills and raising their aspirations and confidence.